As nationality is the legal relationship between a person and a state, it protects the person’s rights and prevents him or her from being statelessness. 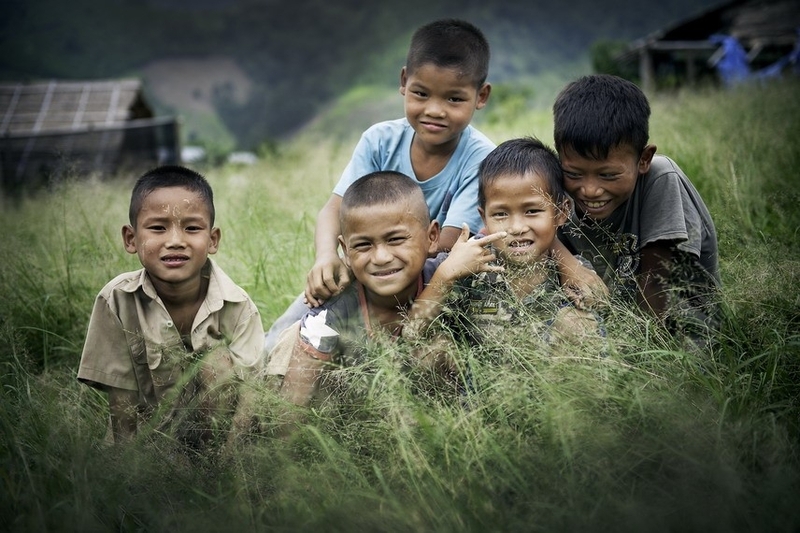 UNHCR works closely with the Royal Thai Government to ensure that children born in the camps/Temporary Shelters for refugees from Myanmar are registered at birth in line with amendments to the Civil Registration Act. Over 11,000 children received birth certificates since 2010. In 2016, we have helped 1,627 refugee children in nine refugee camps to receive a birth certificate and registered 1,739 refugee children on their birth. The document helps refugee children to prove their nationality and gain access to education, health care and employment in the future. It also protects them from being statelessness or being exploited such as through early marriage and human trafficking. Almost half of refugees in Thailand’s camps are children. Many of them were separated from their families and have been living by themselves. They are at a greater risk of exploitation. In 2016, your long term donation has supported 3,479 refugee children without parents and children with special needs to receive child protection and assistance. The Child Protection program activities support social workers, psychologists and staff to take care of the children closely and maintain and regain children’s well-being. Violence against women and girls is one of the most prevalent denial of human rights. UNHCR conducts activities aimed at behavior change in order to prevent Sexual and Gender-based Violence (SGBV) incidents in the camps, including gender perception discussions participated by men and boys. UNHCR provides legal counseling to 101 survivors of sexual violence and facilitates their access to justice. In 2016, UNHCR provided Violence prevention training to 13,028 refugees in the camps. The training aim to acknowledge and raise awareness of women men and children refugees about their roles and share positive values toward diversity in communities. Encourage them to respect each other regarding their age, gender, believe and background. Also, engage people in communities to take care each other. Quality specialised services: UNHCR has been working with partners to provide specific support and prosthetic, orthotic and assistive devices to regain hope and have them lead a safe and practical life. In 2016, 397 people received ongoing physical rehabilitation. Special classrooms help children with disabilities gain physical strength and develop cognitive skills. Enhanced accessibility for people with disabilities: UNHCR has been improved houses and public places such as walkways and latrines, to cater to people with special needs. Provided psychological assistance to 3,043 people in 2016. UNHCR believes that one family torn apart by war is too many. The organization has supported family reunifications of elderly refugees, helping them restart their lives together in camps or resettle to a third country. Through its resettlement and family reunification activities, UNHCR has successfully supported refugee status determination for over thousands of elderly refugees with close family links to resettled refugees in third countries and reunited them with their family members. With your valuable support, UNHCR provided vocational training to over 700 refugees on hair dressing, cooking, baking, basic electrical appliances repair, small engine repair, basic computer and basic and intermediate sewing. These courses, certified by the Office of Non-Formal and Information Education and Ministry of Education, help create livelihood skills and assist refugees in becoming self-reliant. 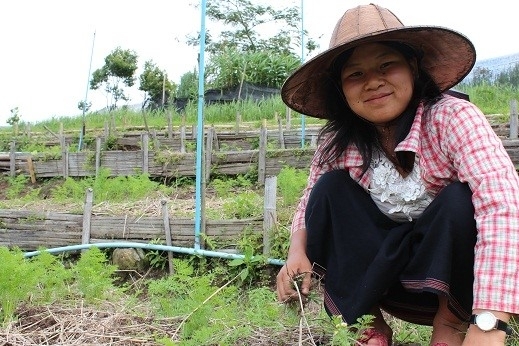 More than 200 refugees participated in agricultural projects. Special attention was paid to the identification of female heads of households, people with disabilities and the elderly. The aim of the verification exercise was to physically validate and update existing records of Myanmar refugees living in border camps in order to find durable solutions and better coordinate future humanitarian assistance. 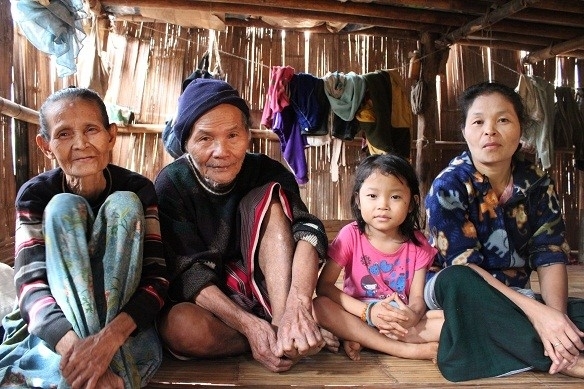 With your ongoing support, 110,000 Myanmar refugees in Thailand have successfully received a smart card with their family's bio-data and photographs. Many refugees in Thailand cannot go home because of continued conflict, wars and persecution. Resettlement is one of the durable solutions that allows them to rebuild their lives in dignity and peace in a third country. With your continuous support, since 2005 over 90,000 refugees have been resettled to 13 countries. Rohingya refugees have experienced horrific abuse and deprivation by smugglers on boats. 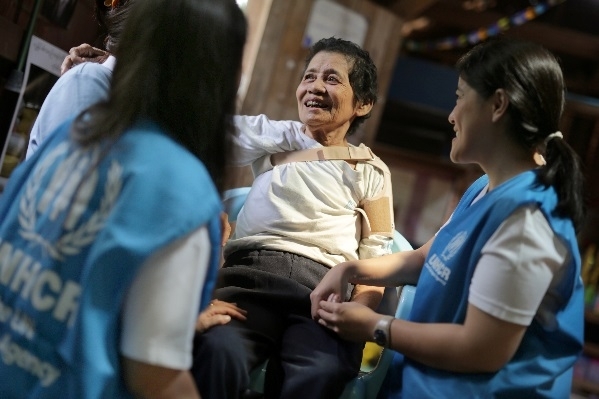 In Thailand, UNHCR has been helping the authorities to care for people of concern who are caught in these situations. The agency assists people rescued in law enforcement raids from smugglers' camps by providing immediate relief. As such, UNHCR distributed 2,696 hygiene kits, 181 sanitary kits, 926 clothing items, 180 sleeping mats and 228 blankets along with other material support in 18 different locations. UNHCR staff also conducted interviews, helped reunite 30 families who were split during the journey, provided counseling support and identified possibilities of resettlement to third countries for the most vulnerable people. The UNHCR mandate includes the prevention and reduction of statelessness around the world, as well as the protection of the rights of stateless people. In November 2014, UNHCR supported the Ministry of Interior to fund the publication of 1,500 handbooks, distributed to district officials involved in processing nationality applications, to support training for registrars. 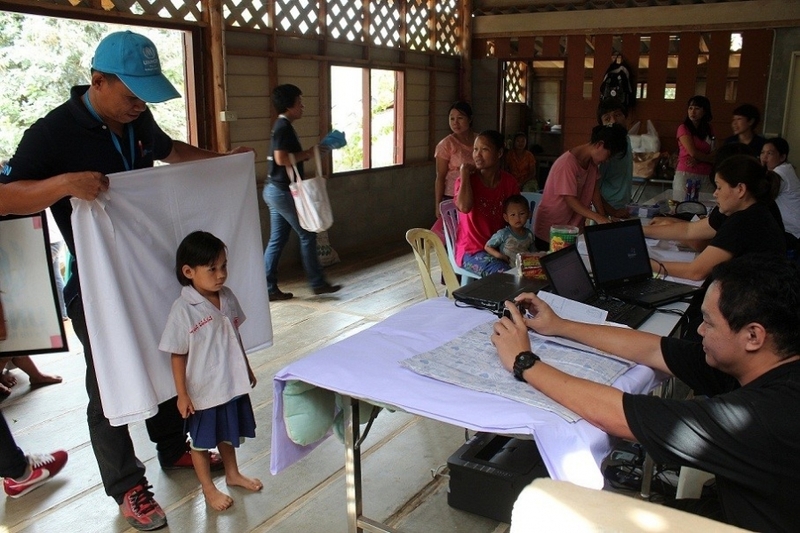 UNHCR also supportedthe deployment of Mobile Teams to Tak and Chiang Rai Province, where nationality applications were processed.